Pride In Craftsmanship. Innovative Manufacturing. What does all this mean to our customers? It means that KK offers the finest quality cabinets at the lowest possible prices. It means that our cabinets are certified by the Kitchen Cabinet Manufacturers Association as meeting or exceeding the strictest standards in the industry. There’s solid wood durability built into every KK cabinet. From the oak, maple or beech on the doors to the face frames on the base cabinets, each cabinet is built to last. This means that our customers don’t give up a thing when they purchase our cabinets, except for a big price tag. A kitchen you can live in at a price you can live with. 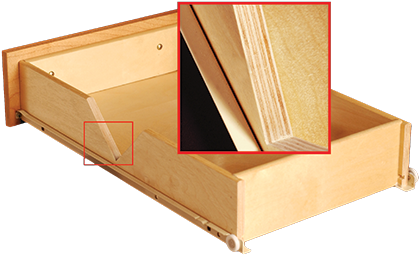 Plywood drawers are standard on all lines and feature a full front-to-back epoxy coated suspension system that is securely attached to a solid wood strip in the back of the cabinet for stability, and years of smooth operation. 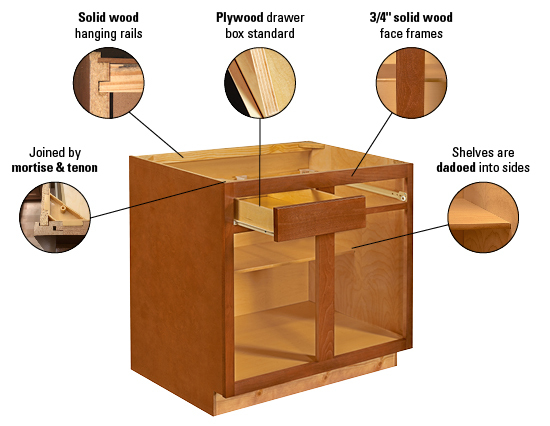 All frames are built of solid 3/4″ kiln-dried hardwood. Each rail is kiln-dried, joined by mortise and tenon, and glued. Solid wood toe kicks, 3/4″ thick. Solid wood hanging strips at the top and bottom. 1/2″ thick engineered wood core with hardwood veneers. 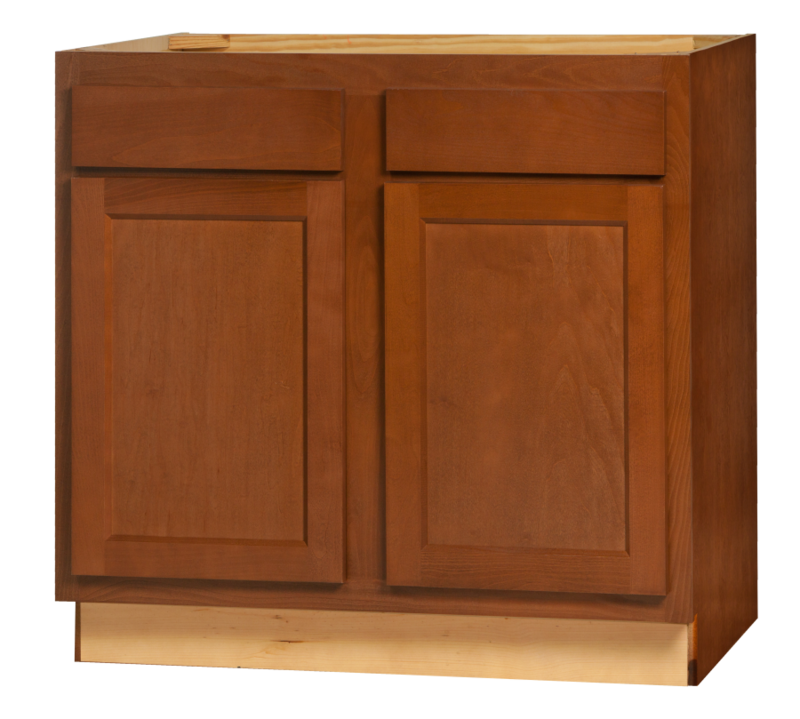 We use more solid wood in our cabinets than most other manufacturers. Cabinets you can live in at a price you can live with. All cabinets get stained and sealed and are protected with a durable topcoat. The result is a surface that is virtually “family-proof”, resisting many household chemicals, water, alcoholic beverages, mild acids and even nail polish. The result is more than just a kitchen you can cook in. It’s a kitchen you can live in at a price you can live with. 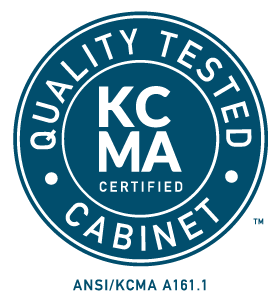 All of our kitchen cabinets are certified by the Kitchen Cabinet Manufacturers Association as meeting or exceeding the strictest standards in the industry.